Phoenix är en härlig hane! 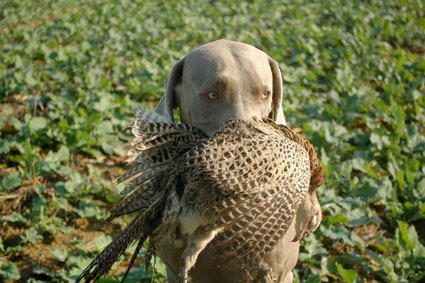 Vi lärde känna denna hund redan som ung och har följt honom sedan dess. Han har varit hemma hos oss och finner sig mycket väl bland våra flickor, likaså har vi lärt känna honom hemma hos sig i Frankrike. Han är en mycket skön personlighet. Tack Marie, för att vi får möjlighet att använda din ögonsten! "We are over the moon!" Phoenix is a lovely male! 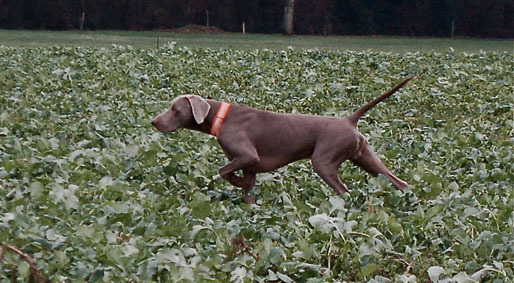 We learned to know this dog already as a youngster and have followed him since. 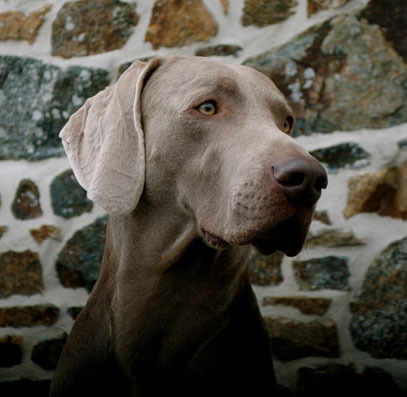 He has visited our place and we find him very relaxed among our pack, as well as we have met him at home in France. He has a very nice personality. Thanks, Marie, for letting us use your precious gem! We are over the moon! PHOENIX is a young dog highly promissing, his terrific pedigree speaks for himself ! 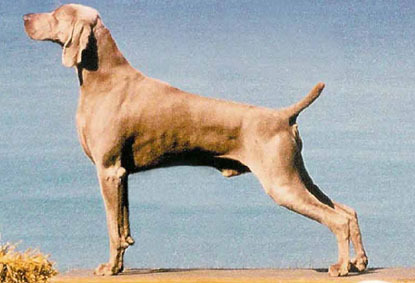 His Dam is just the only weimaraner SH DOUBLE WORLD WINNER on earth : WW'09 & '11 Multi CH FT merited LE CINQUIÈME ÉLÉMENT At Sberweiss Fala Love'A "LEELOO" and his Sire is certainly one of the best producer ever BIS/BISS AUST GR CH/AM/CAN CH Graytsky's SMOKIN'IN HAVANA "MAC". PHOENIX is at the ideal size of the standard. Strong boned, structured and really masculine, Phoenix stays elegant with a noble attitude. His character is very exceptional : stable in mind, friendly and self-confident. Phoenix has a huge "will to please attitude" which makes him very interesting to work with ! Phoenix is very serious at work. 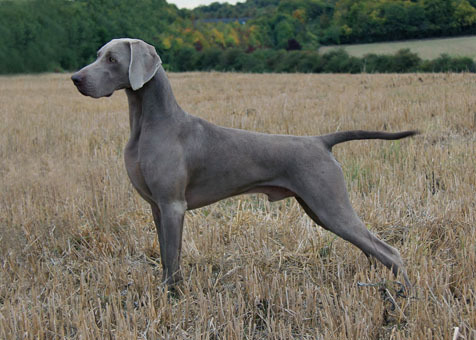 In the fields, he is a bird finder thanks to his very strong nose. His great self-controle is one of his numerous qualities. He is a very nice retriever on order on earth and in water, one of his favorite element. This water passion is inherited from his famous mum, Leeloo for sure. 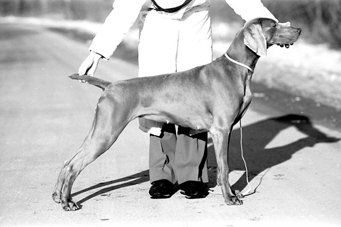 Phoenix is 67 cm and 38 kg. HD A/A, Elbows : 0/0 and Eyes tested and clear. Complete teeth, scissor bite. DNA stored. ✪ BOB J (Selected on the 5 best on the honor ring) + BEST OF BREED at 1 year old + selected in the final cut on the honor ring again ! 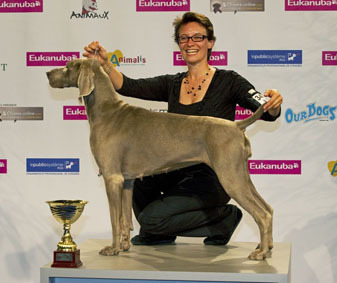 ✪ Double Show of NANTES 2012- Saturday : 1RST EXC + CACS + BOB + BEST IN GROUP Sunday : 1RST EXC + CACS + CACIB + BOB + BEST IN GROUP again ! 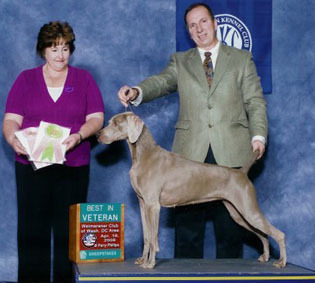 He passed and succeeded at the TAN exam last year at the age of 9,5 Months old with great comments from the 2 judges. 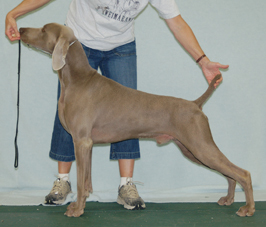 He passed the confirmation exam with an expert of the breed. This exam allow him to be used in breeding. PHOENIX participated recently to his very first Autumn Field-Trial season, he has been placed at 4 FT on the 5 he participated. 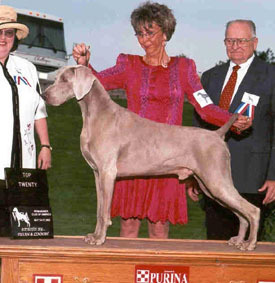 He even did the exploit of winning a wonderful 2nd place awarded by a RCACT in Open Breed and the day after he won the FT he was presented with the EXCELLENT mark and became that day : TRIALER !!! 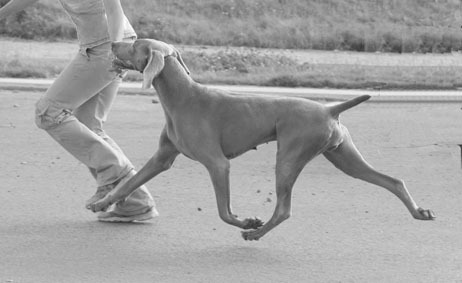 Useless to say this dog is amazing and we are so proud of him ! 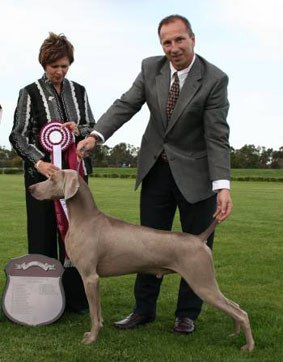 ✪ ROSEL Open Breeds : PHOENIX did the exploit beeing placed 2nd EXC + the highly great RCACT ! Fantastic !!!! Phoenix becomes that day EXC 3 Stud !